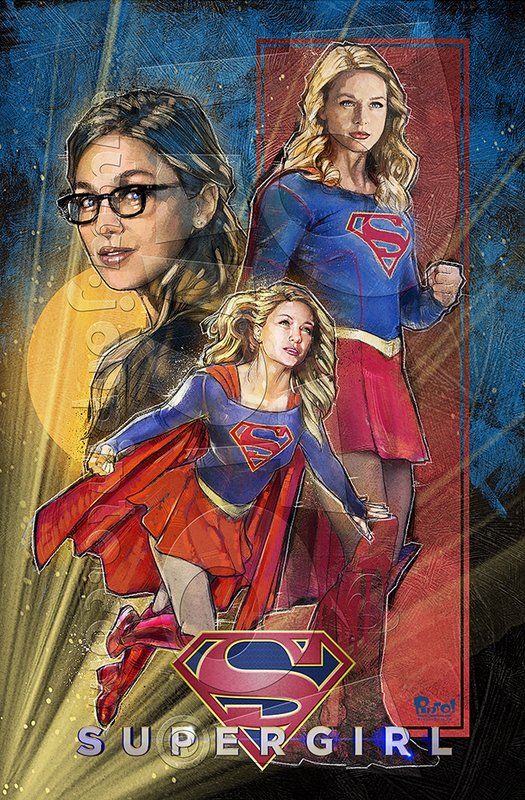 So I finally got around to doing a Supergirl picture. I have to admit that I was not immediately drawn to the idea, pun intended, as I am not a regular follower of the show. I have only seen an episode here and there and it's usually because I wanted to see a different character that was appearing like the Martian Manhunter or Superman. I do watch the "crossover" episodes that go along with The Flash and such and my son and I just finished up watching the latest one so I may have been motivated because she was front and center at the moment. Also, people keep asking me if I have a print of her at the conventions so maybe now I can appease a few requests. 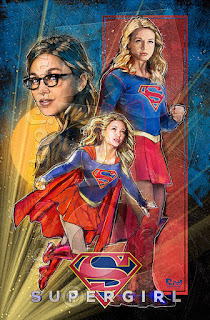 So here she is, SUPERGIRL! !